Tenerife really has so much to offer… You are guaranteed to have one of the most memorable and exciting holiday of your lifetime! Below you can enjoy a list of top activities we highly suggest during your holidays in Tenerife! 1. Teide national park is definitely A MUST. The trip there can be combined with a trip to La Orotava (very beautiful historical city, worth seeing Casa de los Balcones musuem). 2. Masca hike. Combine it with swimming in the black Puerto Santiago beach. 3. Loro park (the best zoo in the Europe, based on Trip Advisor), followed by the relaxed evening in Puerto de la Cruz. 4. 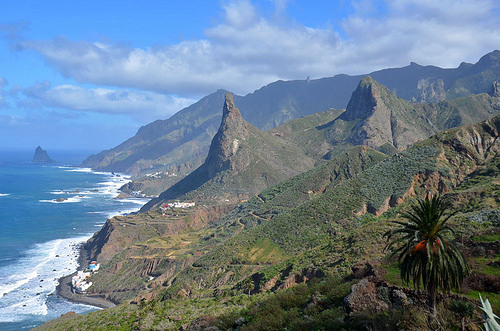 Trip to national park Anaga to dicover rural Tenerife. You will be amazed by truly incredible views! Can be combined with trip to La Laguna (the old capital of Tenerife). We highly suggest visiting Anaga lighthouse. 5. 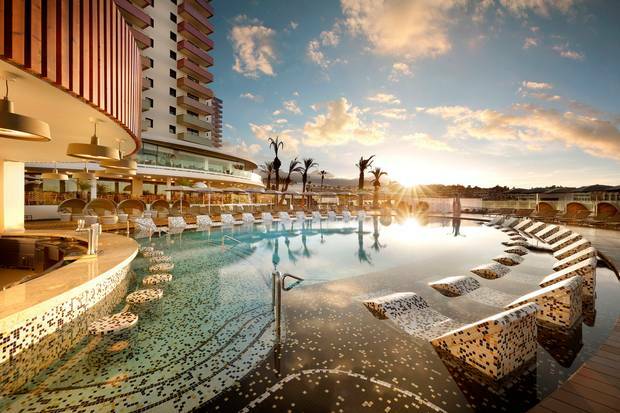 Golden Mile located in the very heart of Tenerife, Las Americas area. The area is full of bars, restaurants and places to shop. It offers mini golf, flamenco shows, fountains show and much more. 6. Boat trip to watch whiles/dolphins. Most trips take place from Puerto Colon and we suggest pre-booking the trip in advance. Tenerife is a great place to see many dolphins so definitely give it a go. 7. Trip to Candelaria, very religious little town by the sea. Locals love saying that Candeleria is something so unique, it even has “a special air”. 8. Day Trip: Cueve Del Viento (Wind Cave)/ Garachico/ Icod de los Vinos (see famous dragon tree and try famous Tenerife local wines). 9. 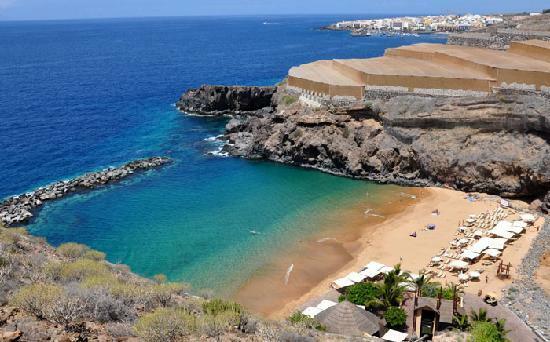 Montana Amarilla (perfect place for snorkling). 10. Trip Santiago del Teide – Cruz de Hilda. Easy hike with beautiful views, about 6,5 km (2h15') one way. 12. Trip to The Special Nature Reserve Barranco del Infierno, a place where only 300 people are allowed to enter a day in order to preserve the environment and not alter the development of the species, the flora and fauna. – takes about 2 hours. 14. 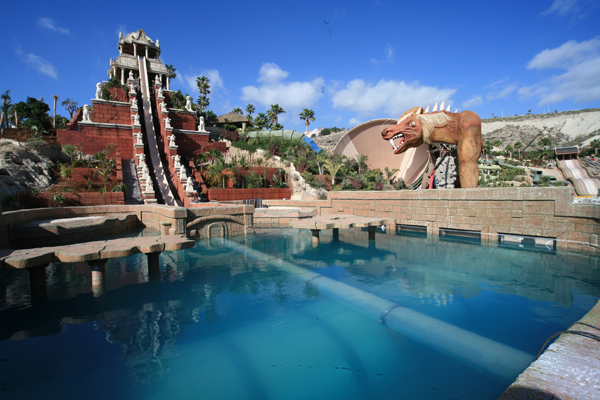 Siam parkas (the BEST water park in Europe. The author must add that after visiting it for over 40+ times, she would definitely come back again many more times. It is just brilliant!). 15. Road trip around the island. 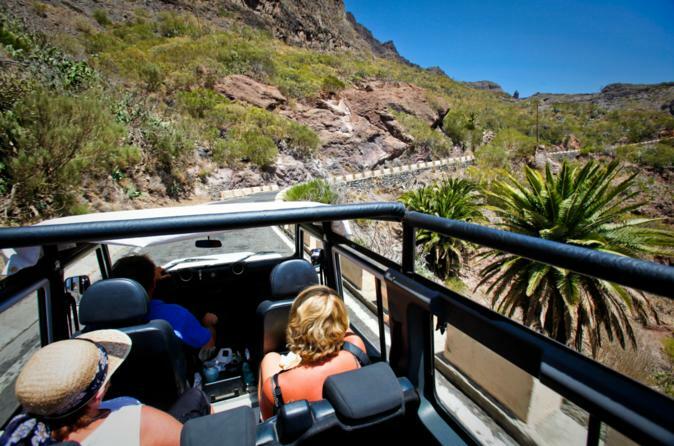 Considering hiring cabriolet for this trip - it is so fun to enjoy stunning Tenerife views and a sunshine. 17. Hiking mountain Guaza (from Los Cristianos to Palm Mar). 18. Road trip around Puerto de la Cruz: worth seeing Playa El Bollullo, Playa Los Patos , Playa Los Roques, Rambla de Castro. If you keep on driving up, you will rrach La Caldera forests with Los Organos (Vargonais). 19. “Monkey Park” - such a a great adventure for the whole family. The best part is that you can pet and feed the animals instead of just looking at them. 20. Tajao - fishing village that is famous for a great sea food. We suggest trying Delicias del Mar restaurant. 21. Secret Abama beach next to the luxurious Ritz Carlton Abama hotel. The beach is known only by locals, therefore, it is never too packed. Although there are plenty of stairs to walk to reach the beach, it will be totally worth it. In case you fancy to have a lunch or cocktails watching the sunset, you can visit Ritz Carlton restaurant that is located on the same beach. 22. Hippies village El Medano that has a very special aura and plenty of little, cosy restaurants. We highly suggest you trying sea food, paella and sangria there. 23. 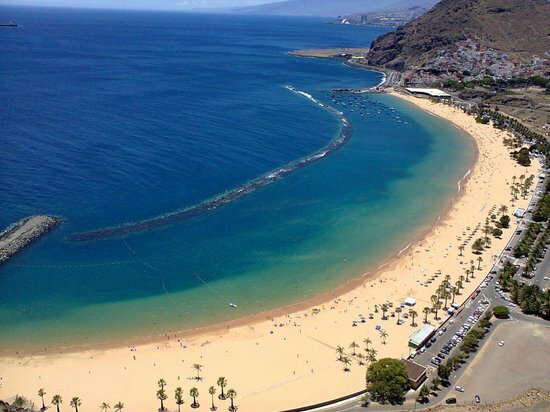 Las Terasitas beach in North Tenerife. It is truly stunning! 24. Amazing shopping - we highly suggest “Siam Mall” and shops in Golden Mile. You can also head to Plaza del Duque for designer brands shopping. 25. Cocktails in Sky Bar, that is located in famous Hard Rock hotel. By far one of the best places to enjoy chill out music and sunset views. 26. Great nightlife. We highly suggest Magic Lounge and Papagayo Beach Club. Magic Lounge Club is great for live music any day of the week while Papagayo is the best place to sip cocktails and enjoy sea views during workdays and dance till early hours on weekends. 27. Amazing beach clubs perfect for sunbathing combined with dancing and some cheeky cocktails. We recommend Le Club and Kaluna Beach Club. 27. “Thai Botanico” restaurant for thai cuisine lovers. Hands down the best thai food you will find outside the actual Thailand. 28. “88 restaurant” for a romantic dinner with sea views. We suggest making reservation to ensure you can get a table outside. 30. Try natural pools - enclosed spaces into which, due to their natural formation, the sea water seeps without any human intervention apart from adding steps, walkways and diving points. This is why they definitely a must visit for all visitors who, apart from having a refreshing dip, look for authentic and natural perfection.